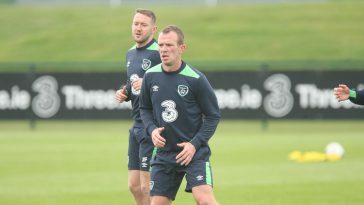 Glenn Whelan says he has not been affected by criticism during his international career. The veteran midfielder is set to captain the Republic of Ireland tonight in what will be his 85th appearance for the Boys in Green. 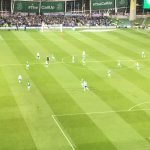 The friendly against Northern Ireland at the Aviva is likely to be Whelan’s final international appearance, with the Dubliner set to drop out of the squad for the trip to Denmark. He has dropped down the midfield pecking order over the past 12 months, but has stressed that he is not officially retiring. 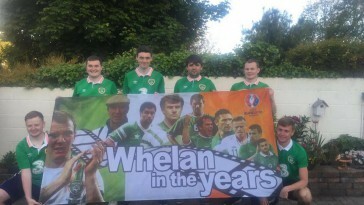 Whelan has been a divisive figure throughout his international career since winning his first cap against Serbia in Giovanni Trapattoni’s first match at the helm. However, the Aston Villa midfielder says he never cared if he was under-appreciated. “I didn’t care,” the 34-year-old replied when asked if he felt under-appreciated, in quotes reported by RTÉ. “When I come in, all I want to do is impress my family first and foremost; then I wanted to impress the manager. “I wanted to play, so no, headlines and stuff like that, it definitely wasn’t about coming in and making them better. “I would like to think the players that I’ve played with, if ever you want to speak to anyone and ask what I was like, they would tell you the truth. Whelan did admit that he felt some of the media criticism “got a bit personal”, and explained why he has stepped back from media engagements in recent years. 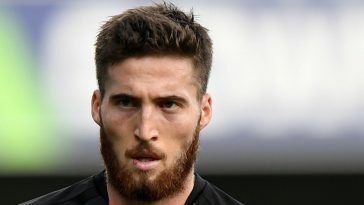 The former Stoke City player highlighted one story about a car he was allegedly driving, and described himself as a normal person off the pitch. 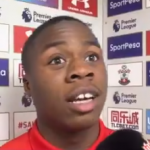 “I’ve moved away to play football when I was 15. Obviously loves the limelight when they’re raving about you but there’s obviously another side of it. For me, there was a certain stage when I thought it got a bit personal. And that’s when I stepped away from it. I’ve got two kids, I’ve got an older girl and there’s stuff online. “I’m a footballer but I’d like to think I’m a normal person away from the pitch. But there was certain stuff that did get a little personal. My background was brought up and then there was a thing written about a car I was driving. And I definitely didn’t drive that car. 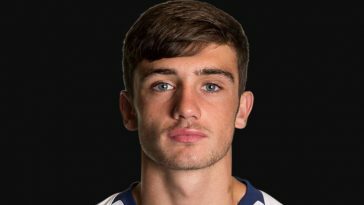 While admitting that he understands that aspect of football, the Irish international admitted that some of the criticism affected those close to him. “Listen, I get that side of it,” he continued.